Want to get more out of your Google user accounts? Like using them for logging into MacOS, Windows, or Linux devices? Or, perhaps, getting individual access to your WiFi access point? Maybe you’d like to leverage G Suite user logins for your web applications or cloud infrastructure such as AWS cloud servers. As the cloud productivity platforms make significant inroads into the market, IT admins are searching for ways to better leverage their capabilities. Specifically, G Suite user identities would be useful if they could be leveraged for a user’s other accounts. The benefit of this isn’t lost on Google as they have focused on their identity management services, but their approach leaves a great deal to be desired. Like the other tech titans, their goals aren’t in alignment with their customers. Google’s identity management approach is to lock you into their platforms and services so that you will buy more from them. The convenience of their user login would be a reason to purchase their storage services or compute infrastructure, for example. Unfortunately for Google, that’s not what IT organizations want. They don’t want to be locked into specific platforms. They’d rather be encouraged to leverage whatever IT resources are best for their organization. An independent approach to identity and access management is required. And it has to be tightly integrated with G Suite. 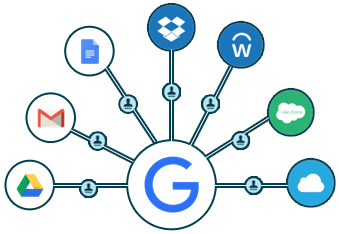 Now, the cloud identity management platform called Directory-as-a-Service® offers deep integration with Google G Suite, providing importation of existing accounts, provisioning of new user accounts into G Suite, and ongoing synchronization. JumpCloud provides the directory services Google Identity Management Services cannot provide for all of your IT resources. 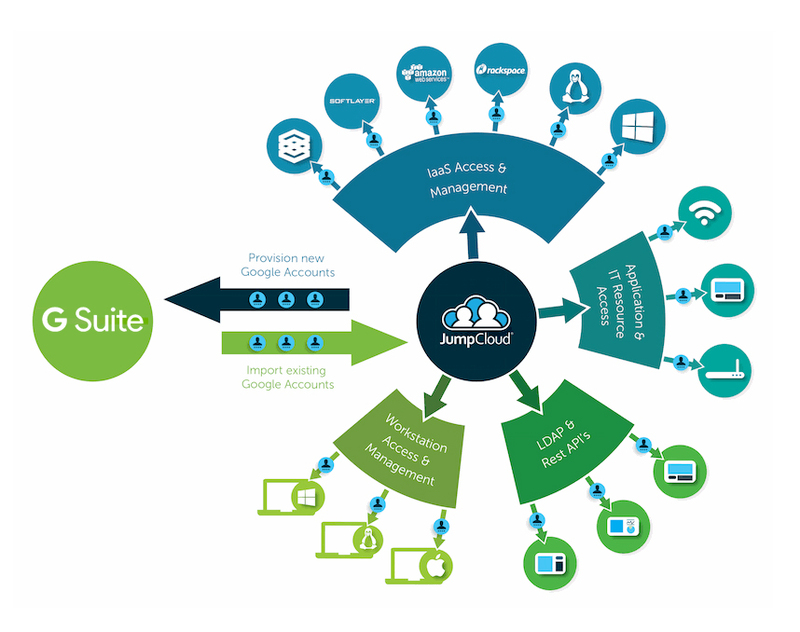 With JumpCloud’s approach to IDaaS, your user’s G Suite login can be leveraged for cloud infrastructure, web applications, on-prem devices and applications, and your WiFi networks. Your end users will eliminate the frustration and friction of countless logins while you will have the benefit of a cloud-based, centralized user management system. You can read our Knowledge Base articles for step-by-step integration instructions. Or see our videos and blog posts for more information on the benefits of a cloud directory service integrated with your G Suite account. 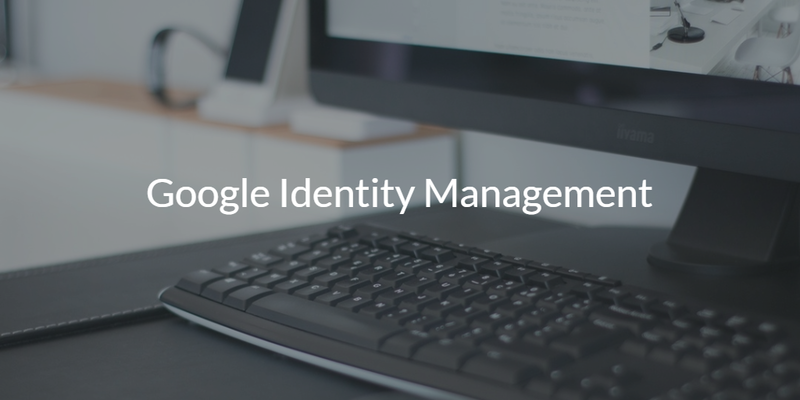 If you would like to learn more about Google Identity Management Services and how third-party cloud identity management solutions are the leading approach to a centralized directory service in the cloud, drop us a note. You may also sign up for a free account and check out our IDaaS platform. Your first 10 users are free forever.